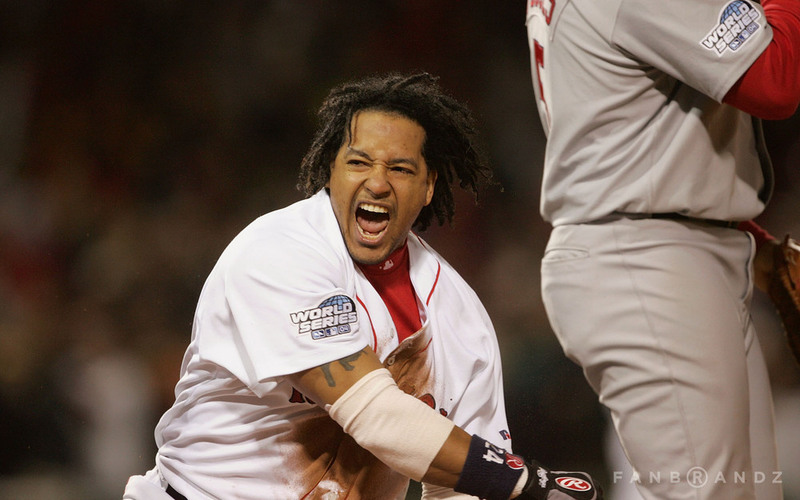 In this first edition of The Vault we travel back in time exactly nine years ago to Game 1 of the 2004 World Series matchup between the Boston Red Sox and the St. Louis Cardinals. Considered by many baseball fans to be the most historic World Series of all time, it was the 100-year anniversary of the Fall Classic, and, more importantly for Red Sox fans, it was the beginning of the breaking of the "Curse of the Bambino." This year's epic rematch is now setting off on its own journey into baseball's coveted history books. And with how good the Cardinals are this season, it's sure to be a bit more exciting than what happened in '04 -- a Red Sox sweep. Aside from the game play, there is of course sports branding to consider when we have such a juicy matchup as is any World Series rematch on our plates. It's not often that two teams face each other multiple times in the World Series -- since 1993 it's only happened once -- the Yankees vs. the Braves in '96 and '99 (Yankees took both, 4-2, 4-0). Fanbrandz was fortunate enough to work with MLB creative services to design the World Series and MLB Postseason style guide in 2004, and now, nine years later, we are proud to still be heavily involved in the MLB Postseason branding process. 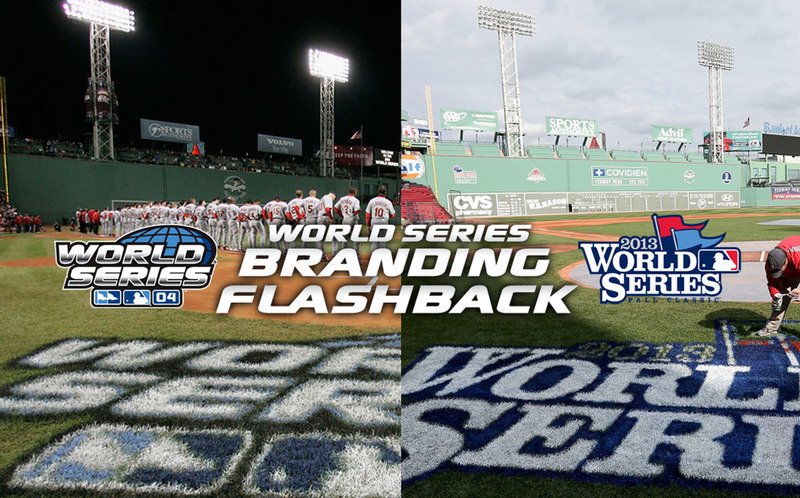 This has given us a great moment to reflect on what makes a successful Postseason branding then and now. In the nine years that have passed, the Postseason has grown in scale with many more marks in the system, but at its core, it's always about underlying qualities of legibility, durability and flexibility -- all while reflecting the times and heralding the spirit of the event. Notice the outdated jumbotron in center field. You were looking quite spectacular that night, field paint. Steve Tyler and Kelly Clarkson provided their platinum-selling voices for Game One's "Star Spangled Banner" and "God Bless America" renditions. Before Pedroia and Napoli we could enjoy the beard of Damon. Ben and Jennifer, or, "Bennifer," as they preferred to be called, were in attendance in '04. Note the WS patch applications. 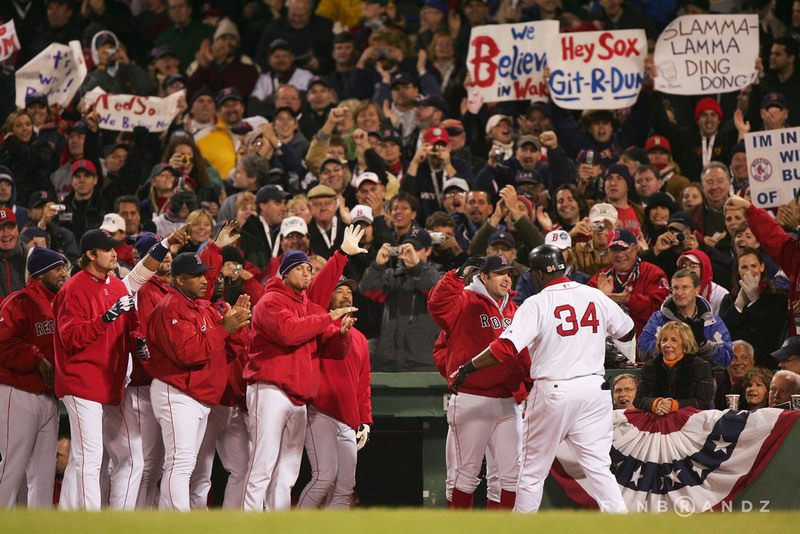 2004's Game 1 goes to the Red Sox.